Our beanies at Cap Deals can fully sublimated to reflect any design. 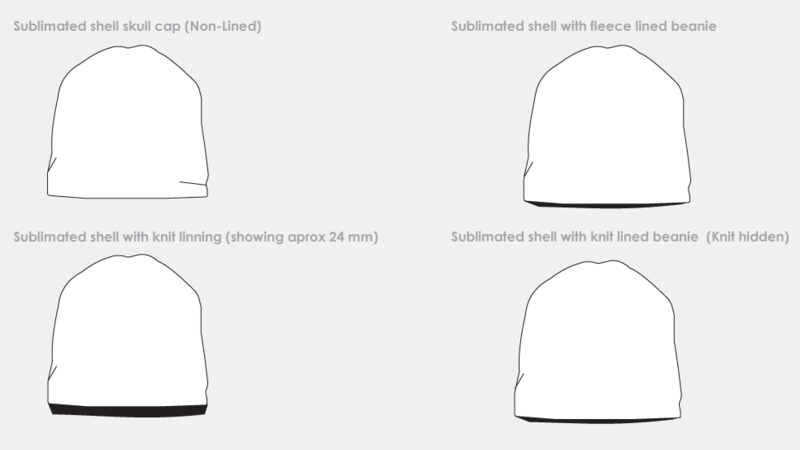 This sublimation option is a patent pending procedure that can turn a beanie into any extremely detailed quality design. This technology gives designers great flexibility to design a product that is new and fresh. All beanies are created with many options for all seasons. They can be for heavy winters or thin for sport-ware. Beanies can have embroidery options which can be 3D or flat. We also offer many different fabric options and linings. Speak with a project manager to see how we can help develop your beanies.